Dragons! 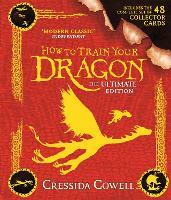 That is the first thing that springs to mind when we think of Cressida Cowell author of the bestselling How to Train Your Dragon series. 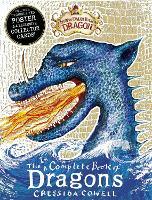 Scaling new heights in children’s literature, these books have fired the imaginations of millions of children across the globe, and many a dragon too. 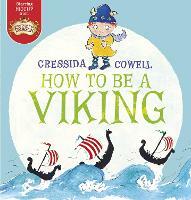 We are delighted to have Cressida as our first Literacy Ambassador, in association with the National Literacy Trust. It's easy as a bookseller to take reading for granted. When you're surrounded by the latest big releases, always searching for new hidden gems, and looking back at centuries of classics, it's easy to forget that not everyone finds reading (or writing) straightforward and enjoyable. Research from the National Literacy Trust counts one person in six in the UK as living with poor literacy: that might mean struggling to keep up at school, feeling inadequate and getting lower grades and, as you get older, finding it hard to get a job and struggling in the workplace. Then, not being able to help your own child with their reading and writing, passing those limitations—and the worry and stresses that go with them—to the next generation. We asked ourselves, what can we do about it? We're incredibly excited—and more than a little bit proud—to announce the Foyles Literacy Ambassador scheme, in association with the National Literacy Trust. A two-year tenure headed by an advocate of literacy to help promote and improve reading and writing, and a passion for literature in all its forms. ‘I’m delighted to be partnering both with Foyles and the National Literacy Trust for this two-year Ambassadorship. I’ve been lucky enough to celebrate the opening of several Foyles shops, and what they do brilliantly is make children’s books spaces look and feel exciting – they’re inviting places for kids to find their next adventure. Check back here, or join the Foyles newsletter to get more details about our plans: we’re going to be launching a writing competition, I’m going to be recommending my favourite books, and giving regular reading, writing and drawing tips. 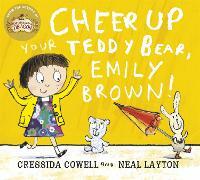 I’m also going to be doing some events with Foyles, too. I want to inspire kids today to read with the same excitement and wonder that I did when I was a child. 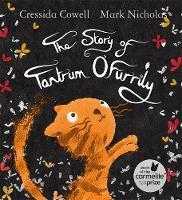 I also want to celebrate the quality and variety of books available for children: we should be proud of the UK talent on today’s bookshelves. Pippi Longstocking was so strong she could lift a horse above her head. She had independent means, no visible parents, the cheek of several Peter Pans and her very own monkey. I longed to be her when I was a child, and she’s a magnificent girl hero. This book was a Christmas tradition when my children were young. It was always so exciting to read and re-read the letters on each page. A compelling story, stunningly written. Sarah Crossan is a huge talent UK YA talent, whose books are deservedly award-winning. Her books are a great example of how you don't need to dumb down to be accessible - her poetic style means there isn't a wall of text that's off-putting to less confident readers, but each word is perfectly-chosen. A wonderful rhythmic board book that features babies of all backgrounds; I read this to all three of my children. 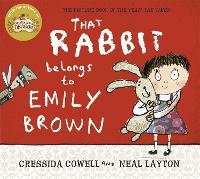 Cuddle up with your baby whilst you read and let them chew the book if they want to! My son loves Tom Gates. The style of illustration is friendly and accessible, and the whole series is very funny. 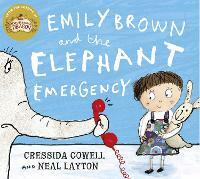 Great for both confident and reluctant readers without talking down to them. 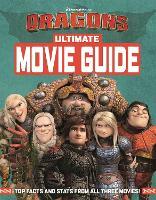 Cressida Cowell is the author and the illustrator of the bestselling How to Train Your Dragon series, and the author of the Emily Brown picture books, illustrated by Neal Layton. 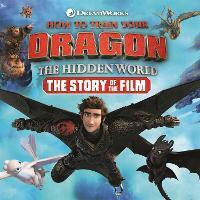 How to Train Your Dragon has sold over 8 million books worldwide in 38 languages; it is also an award-winning DreamWorks film series, and a TV series shown on Netflix and CBBC. Her next book series, The Wizards of Once, is published in September 2017. 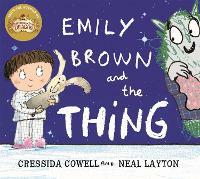 Cressida is an ambassador for the National Literacy Trust and the Reading Agency and a founding patron of the Children's Media Foundation. She has won numerous prizes for her books, including the Gold Award in the Nestle Children's Book Prize and Philosophy Now magazine's 2015 'Award for Contributions in the Fight Against Stupidity'. She grew up in London and on a small, uninhabited island off the west coast of Scotland and she now lives in Hammersmith with her husband, three children and a dog called Pigeon.